In an extremely unfortunate incident, Sushant Rohilla, a 3rd year student of Amity Law School, Delhi committed suicide on 10th August by hanging himself at his Sarojini Nagar residence, Delhi. Sushant's father, Jagdish Rohilla, is a Joint Secretary in Rajya Sabha. Both the parents were not present at home when this incident happened. 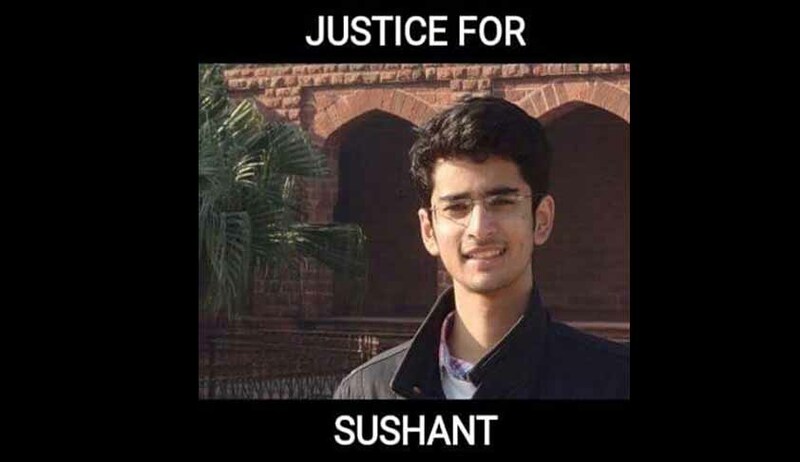 While friends and family stand deeply shocked and saddened, students of Amity Law School along with the Alumnus have stormed social media with demands for justice for Sushant Rohilla. The college authorities are portraying that the sole reason of his suicide was that he was detained because of shortage of attendance, but the family and his friends says that, it is not the complete picture. Sushant's family members and close relatives have accused the college administration for the incident. On Face book, the sister of Sushant, Mehak Rohilla; his father, Jagdish Kumar; and his maternal uncle, Dinesh Rohilla have shared their views and have blamed the college authorities for the unfortunate incident. “Sushant was an excellent student. He was the President of the Debate Society, he also organized various festivals and competitions in the college, he helped organizing an Eco Fest; he was himself a meritorious mooter, and also helped organize various moot court competitions; in the college. The students claim that the incident can be directly attributed to the misadministration of the college and the mental harassment done by them”, said one of his friends to LiveLaw.